Get a Healthy, Beautiful Smile Today! The secret to a healthy smile relies on more than just your toothbrush and floss. The American Dental Association also recommends you see your dentist twice a year for a cleaning and checkup. 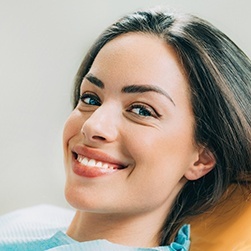 Although you may think routine care is unnecessary, preventive appointments reduce your long-term dental expenses by keeping your teeth and gums healthy. In fact, every $1 spent on prevention can save you $8 to $50 on restorative and emergency services. At Glow Family Dental, we make it easy to maintain your oral health. We prove the cleaning and dental checkup in Duncanville you need for a healthy, beautiful smile. It is best to brush your teeth twice a day using a soft-bristled toothbrush and a fluoride toothpaste for at least 2 minutes each session. It is also recommended you floss in between each tooth and around the gum line every night before going to bed. Your toothbrush and floss are your first line of defense against preventable issues, like tooth decay and gum disease. Although they are effective, they are not enough. There are still areas in your mouth you cannot clean at home, causing plaque and tartar accumulations that can lead to oral health complications. A routine cleaning removes the buildup to keep your smile healthy. 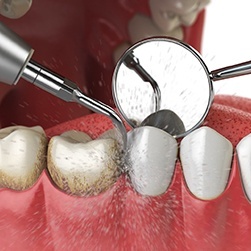 Our dental hygienist uses special tools to remove tartar from your teeth. They then polish your teeth, and they may apply a fluoride varnish to strengthen your enamel. 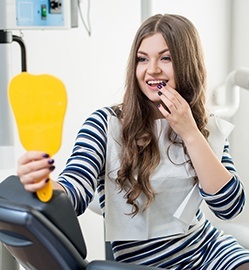 They take the time to discuss your current oral hygiene habits and make suggestions for improvement to keep your smile healthy in between appointments. A routine checkup allows your dentist in Duncanville to monitor your oral health. This allows areas of concern to be detected sooner for quick intervention. This lessens the need for an invasive treatment in the future. Dr. Martinez carefully conducts a visual examination of your teeth, gums, and mouth to look for any indicators of an issue. Special dental tools are used to measure the pockets between your teeth and gums to look for signs of periodontal disease. Dr. Martinez uses digital x-rays to gain a complete picture of your oral health. This allows him to look for complications that may be brewing beneath the surface, such as infections. He takes the time to check your temporomandibular joint, which connects your jaw to your skull, to look for any signs of complications. Dr. Martinez conducts a complete examination of your oral structures and takes the time to discuss his findings with you. He then creates a customized treatment plan to help you reach and maintain optimal oral health. He will answer your questions and address your concerns to help you make educated decisions for your smile. If it has been more than 6 months since your last dental visit, do not place your smile at risk. Invest in healthy teeth and gums with Glow Family Dental. Contact our office today to schedule your next appointment for a cleaning and checkup.